Bulgarian President, Rosen Plevneliev, has left the ceremony for the oath of office of the country's new constitutional judges. According to several media reports, the President had left at the moment controversial magistrate, Veneta Markovska, had to be sworn in. He delivered an address to the new members of the Constitutional Court, but left the hall when it had been Markovska's turn to take the oath. Plevneliev's move in reality blocks Markovska's joining of the Constitutional Court since under the law the oath is considered valid only if taken in the presence of the Head of State. The other three - Georgi Angelov, a magistrate from VAS, elected from the judicial quota, former Chief Prosecutor, Boris Velchev, who was nominated by the President, and the second one (in addition to Markovska) from the parliamentary quota – former Deputy Speaker of the Parliament from the ruling Citizens for European Development of Bulgaria party, GERB, Anastas Anastasov, have been sworn in. After the oath, all Constitutional Court judges have convened for a sitting. Earlier Thursday morning, the Supreme Judicial Council, VSS, accepted the resignation of Veneta Markovska as Deputy Chair of the Supreme Administrative Court, VAS. Out of 22, 18 voted for, 2 against and two abstained, paving the way of the controversial magistrate to the Constitutional Court. The VSS Ethical Committee meanwhile has dropped plans to probe the tipoffs against her, bTV reported. Markovska's appointment stirred a huge scandal in Bulgaria over a tipoff sent to Members of the Parliament from the opposition and an investigative journalistic report raising suspicions of trading influence and corruption. The case "Markovska" "traveled" all the way to the European Commission, which warned Bulgaria twice about the possibility of issuing an interim report under the Cooperation and Verification Mechanism. The Speaker of the Parliament, Tsetska Tsacheva, and the Chairs of the Supreme Court of Cassations, and of the Supreme Administrative Court, VAS, also attended the ceremony. 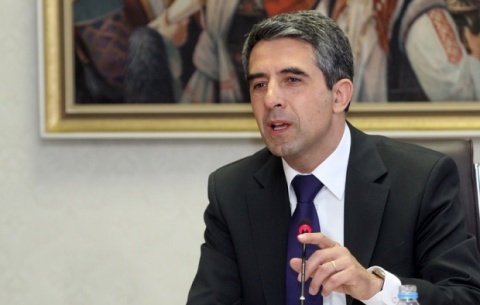 In recent days, Plevneliev called on all newly-elected constitutional judges, "except Markovska," to take the oath. Prime Minister, Boyko Borisov, reiterated three times he had asked her to drop her bid, while Justice Minister, Diyana Kovacheva, stated the reputation of one person cannot be more important than the reputation of the State.